Today I visited Little India in Kuala Lumpur for the first time. What a fascinating place. I got to see (and forgot to photograph) the whole town get ready for Deepavali later this week. There were women getting henna tattoos, men selling fireworks, and the whole of a nearby mall was decorated with flowers for the holiday. Lunch was with one of my favorite travelers I’ve met so far. Her name is Ella and she’s from Switzerland but grew up partially in Italy. 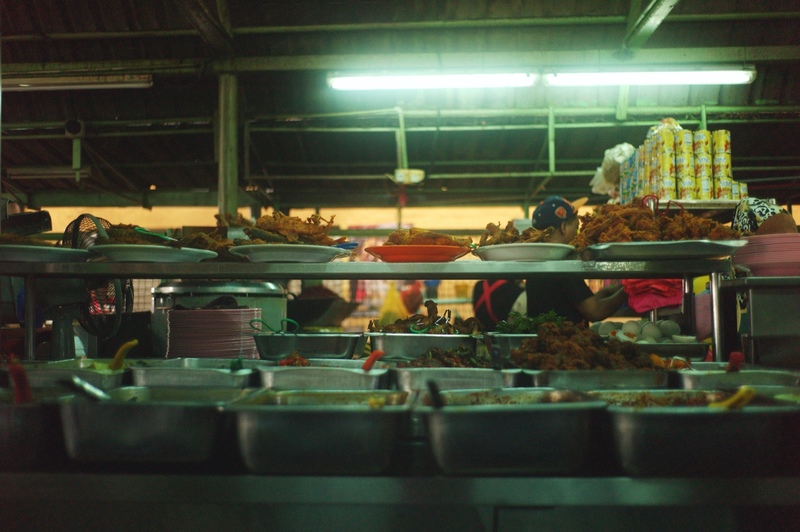 She speaks six languages, travels without a computer or a camera, and couldn’t stop talking about how beautiful Kuala Lumpur is, how she loves all of the multiethnic people here, and how she likes not even knowing what she’s eating. “I think this is liver” she said as she stuck some food on my plate. 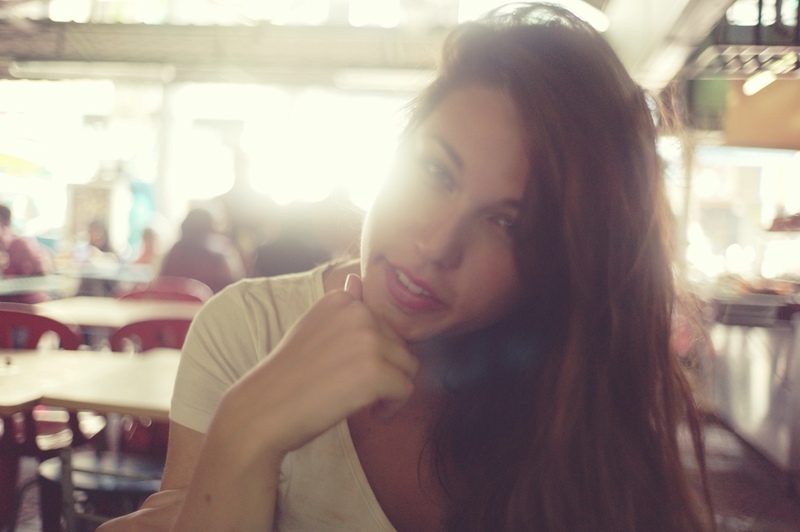 The two pictures below are of my hostel roommate Ella who joined me for lunch and the food stand we ate from. I didn’t have the camera out to record the rest of the afternoon but wish I did. Lunch in Kuala Lumpur ChinaTown. My plate, unfortunately not pictured, was 8 ringit for more than I could eat. That’s just under $3. Ella, and Italian and Swiss girl I met today. I’m fascinated with her approach to travel and how much she notices at each turn. Notably these are the first photos edited and posted entirely from an iPad. I sent the rest of my computer gear home and am going to try using only an iPad for the next few months. My hope is that it will make writing while moving around easier and will also encourage me to spend less time goofing off behind a screen. I’m using PhotoRaw for the raw development and Afterlight for finishing and color. I hope the colors better over time, but I like the flexibility of using only an iPad for production. If you’re following along, this means I’m eating my words over all the hate about Apple lately. I still wish some things would change about the iPad but the interface is sublime for having a computer for just writing and just photo editing — an interface that makes it hard to get distracted into long programming or web browsing sessions. I’d also say that for most uses the iPad is the most ergonomic computer I’ve ever used.